Dynarex 4403 Polyethylene Apron 24" x 42"
Overview for Dynarex 4403 Polyethylene Apron 24" x 42"
Dynarex Polyethylene Apron is a convenient size of 24" x 42" offering full coverage from chest to knees. 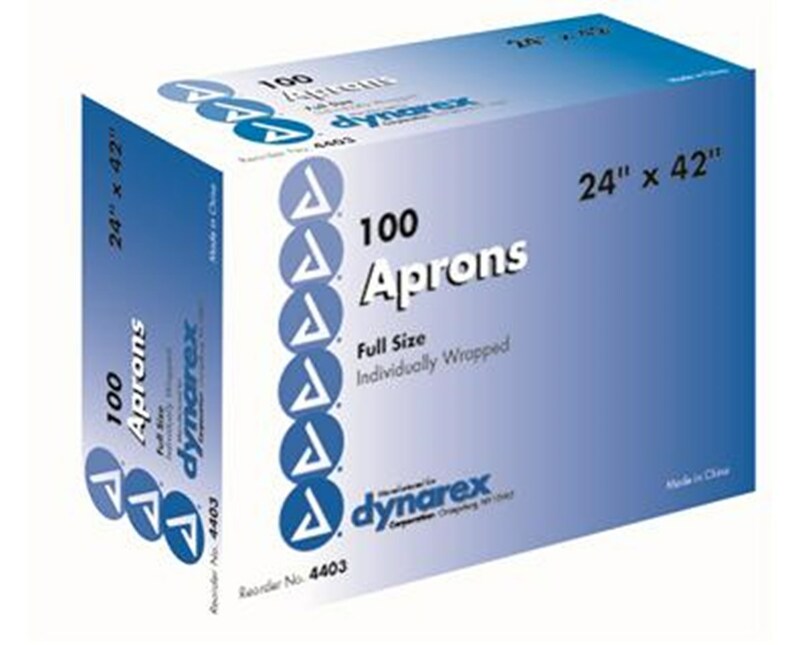 Constructed of strong, lightweight polyethylene,Dynarex Aprons are convenient, affordable and disposable. Ideal for hospital, nursing homes, and for home use. 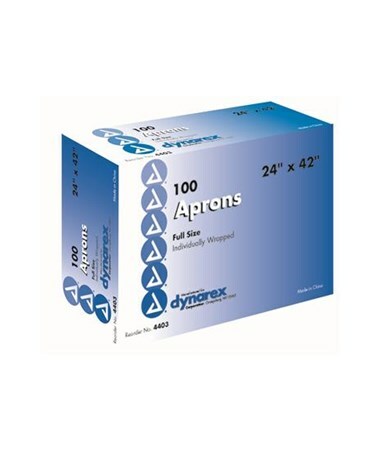 Features for Dynarex 4403 Polyethylene Apron 24" x 42"
Specifications for Dynarex 4403 Polyethylene Apron 24" x 42"
Return Policy for Dynarex 4403 Polyethylene Apron 24" x 42"